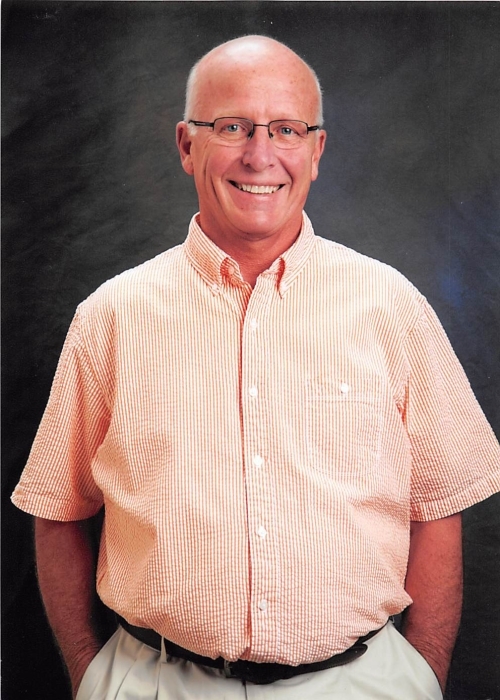 Randall Lee Roegner, 65, of Ackley, Iowa, passed away on Monday, April 1, 2019 at Hansen Family Hospital in Iowa Falls. A visitation will be held from 4:00 p.m. until 7:00 p.m. on Friday, April 5, 2019 at St. John’s United Church of Christ in Ackley. A funeral service will be held at 2:00 p.m. on Saturday, April 6, 2019 at St. John’s United Church of Christ. Burial will follow at Oakwood Cemetery in Ackley. Memorials may be directed to the family. Randy was born on November 20, 1953 in Eldora, Iowa, to his parents Kenneth and Henrietta (Bleeker) Roegner. He graduated from Ackley-Geneva High School in the class of 1972. Randy then graduated from Ellsworth Community College in 1974. He was united in marriage to Joyce Willems on June 25, 1976 at St. John’s United Church of Christ in Ackley. Together they welcomed two sons, Chad and Cory, into their family. After college graduation he worked for Brandt Construction in Ackley, Iowa. He then began his own construction company, Roegner Builders, before beginning his career as a rural mail carrier with the Ackley Post Office; from which he retired on December 1, 2008. Randy was a member of St. John’s United Church of Christ, where he served the church as a council member. He loved to hunt and fish with his friends and family. Randy enjoyed working with his hands, especially woodworking and building furniture. Randy enjoyed the outdoors, gardening and taking care of his yard. He loved wildlife and walking his dogs at Prairie Bridges Park in Ackley. However, his true joy in life came from spending time with his family, especially his grandchildren. Randy is survived by his wife of 42 years, Joyce Roegner of Ackley, IA; his sons Chad (Amanda) Roegner of Grundy Center, IA and Cory (Laura) Roegner of Rolla, MO; grandchildren Abigail, Annaliese, Joseph, Emmelia, James, Benjamin, Briley and Brinley; mother-in-law Thelma Willems; sisters-in-law Jolene (Bill) Ibeling; Teresa Willems and Linda Willems. He was preceded in death by his parents; father-in-law Robert Willems; brothers-in-law Gary Willems and Stephen Willems.